In late 2014 I asked Andrew, my husband, if I could start cutting his hair. He laughed. A few months later I asked again. He said no again. Then his brother mentioned at Christmas that his wife cuts his hair. That stopped Andrew dead in his tracks! I could see the wheels spinning, but I didn’t say anything. A few weeks later I asked Andrew again if I could cut his hair. His response? Scissors in hand, I did. No cut ears. No blood. Only hair loss. Appropriate hair loss. I finished. He liked it! WIN! My husband used to get his hair cut at least every six weeks. Sometimes he would go as little as four weeks, and very rarely he would stretch it out to eight weeks. So let’s see here…52 weeks in a year…divided by every six weeks…is about every eight weeks. Eight haircuts a year doesn’t seem too bad. He pays about $20 per haircut, give or take depending on who he goes to. That’s a total of $160 per year, just for him. Now I realize this is not a lot of money, but when we combine everyone in our households – it gets better. My husband likes his hair. He likes it a lot. That’s totally cool. BUT he wasn’t always happy with the haircuts he was receiving. I was even less happy. When it came time for him to get a haircut before our wedding, I chose which hairdresser he would go to and I went with to the appointment. I’m sure the hair stylist was less than impressed, but I knew what some of his previous haircuts had looked like! This blog post contains affiliate links. Please read my entire disclosure policy here. Hubs is not overly loving the receding hairline shown in the picture at right. Yet this is what 90% of his haircuts looked like when he went to hair cutters – whether barbers or salons! After that first haircut he received quite a few compliments from kids at school, family, and friends. People seemed impressed that I cut his hair. After four or five haircuts this way, I decided a trimmer would be a good idea. We invested in this one from Amazon. It seriously split the cutting time in half. I was able to do the entire back of his head in about five minutes. I still used the “style” mentioned in the article above for the top of his head. We’re looking into a longer attachment to make the top just as easy – but so far no luck. When it came time for little man’s first haircut, we went straight for the same trimmer. I went with the one inch attachment over his entire head. For a slightly squirmy 10-month-old, he did a great job! We had to hold him still twice and I did do a two minute touch up the next day – but how can I complain about that? 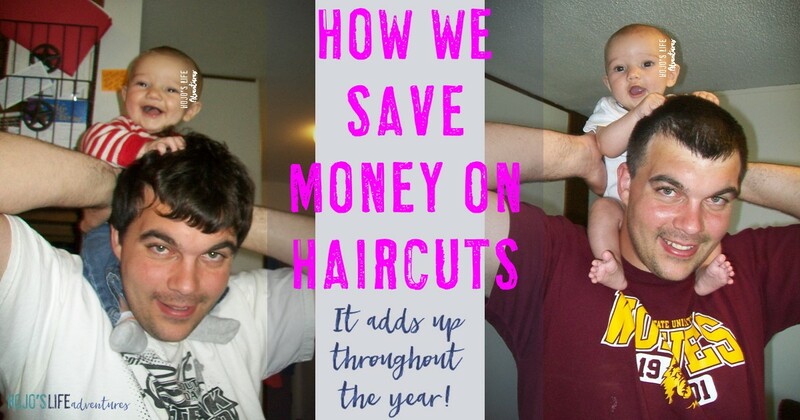 So our little family of three will save money on haircuts each year for a grand total of roughly $335! I will totally take it. That’s almost an additional $28 in our pockets each month. WHOOP! Those little dollars add up quick! « My Husband and I Don’t Buy Gifts For One Another: We Do THIS! I think you are underestimating your savings, Heather. We started the at home haircuts with my husband cutting my hair shortly after we first started dating. It had been nearly a year since my last haircut in the salon where I got a badly cut, too short haircut. He offered and I took a seat and got my locks trimmed. He did a great job, so I told him he was now my stylist. I have finally been able to grow my hair out as I always wanted, my husband listens when I say a quarter to a half an inch, he doesn’t chop off five to six inches like the scissor happy stylists did. He picked up the task of being the barber for my two children after they each received two bad haircuts in a row at the barbershop. I asked him to help me do their haircuts, we bought a set of Wahl clippers, a child size hair cape and watched a number of YouTube videos. He coached a nervous mom on the techniques on using the clippers and blending the different lengths of hair. The haircuts turned out great, my mother commented how much better they looked than the barbershop hacks. The next time my older child fired me, he just wanted my husband to do his haircut and my younger followed suit. So he has been doing my hair and my children’s haircuts ever since, always great haircuts. I get mine trimmed every six to eight weeks to remove the splits and keep the ends neat. The children gets theirs monthly as their hair grows so fast. I was paying $15 each plus tip and transportation costs were $50 a month. Mine was $55, plus tip and transportation every 3-4 months, about $75 dollars. So I calculate my savings at close to a thousand a year. Our reason for doing them at home was to avoid getting and paying for bad haircuts. The savings are an added bonus. Cheryl – I’d rather underestimate than over. 😉 We really have no gas expense since we live in a small town of 800 where we can literally walk to get our haircut. And even my haircuts were maybe $25 with tip (I’m a 2-3 haircuts a year type of girl). Things are less expensive here in SD. 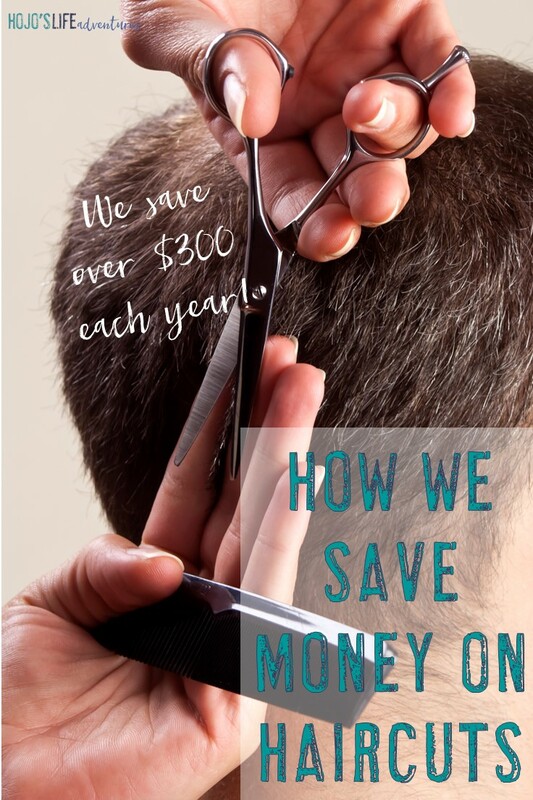 But I definitely agree with your point that no longer having poor haircuts makes this worthwhile in itself, and the added savings are a great bonus! Thanks for the comment! Where we live, we have to drive at least 20 miles to go shopping as we are rural. So I calculate the mileage as part of my costs of purchases of goods and services. I figure fifty five cents a mile, as that is what I get when I have to travel somewhere for work. So twenty miles each way is twenty two dollars in transportation costs. I’m on the east coast where things are more expensive. So I try to consolidate trips. Having my husband give my boys haircuts last night was fast, we did not have to go out, wait for the barber and then the haircut. One was doing his homework, while the other got a haircut. Afterwards he got his shower and pajamas on after. Then the other got his. About ten minutes each. I hate the hassle of the salon on a Saturday, it kills the whole morning or afternoon. My husband takes about 20-25 minutes to section, pin up my hair and trim it properly. My neighbor who worked in a salon has stopped by a couple times while I was getting a trim, and said I was lucky that he does such good work and it doesn’t kill a Saturday. And of course it saves me a lot of money.